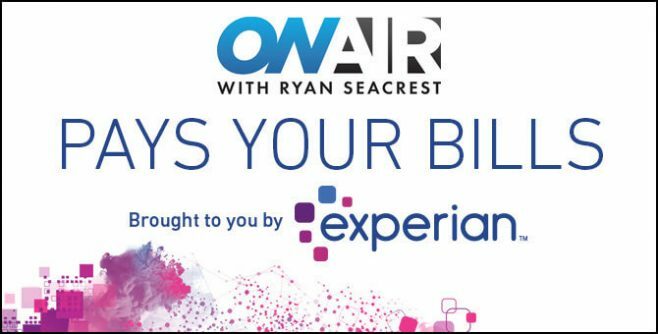 The Ryan Seacrest Sweepstakes, David’s Bridal Sweepstakes, XYIENCE Sweepstakes, and McAlister’s Deli Sweepstakes are the best online sweepstakes you can enter today. 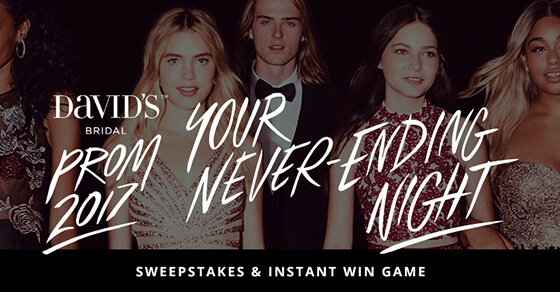 Try your luck and enter for a chance to win great prizes like $2,500 cash, the ultimate prom prize pack, a college basketball experience, and a family date night! ELLE Decor Kontrast Sweepstakes: ELLE Decor Magazine and Kontrast are teaming up to bring you the ELLE Decor Kontrast Sweepstakes where you could win two “Saxe” By Lassen lounge chairs. Cosmopolitan Magic Mike Live Las Vegas Sweepstakes: Enter at cosmopolitan.com/vegaslive and you could win a trip to see Magic Mike Live Las Vegas at the Hard Rock Hotel & Casino with the Cosmopolitan Magic Mike Live Las Vegas Sweepstakes. Eligibility: Open to legal residents of the fifty (50) United States and the District of Columbia who are at least eighteen (18) years of age or older as of the date of entry. Eligibility: Open only to legal residents of the 50 United States and the District of Columbia, who are at least 13) years of age or older. Limit: Limit of one (1) Sweepstakes Entry per day and one (1) Instant Win gameplay per day throughout the Promotion Period. Prize(s): $300 David’s Bridal Gift Card, $100 AMEX Gift Card, and $50 Sephora Gift Card. Eligibility: The Sweepstakes is open to legal residents of the 50 United States and the District of Columbia who are 18 years or older at the time of entry submission. Limit: Limit one entry per person during the Entry Period. Prize(s): A four (4) night trip for the Winner and one (1) guest to Phoenix, Arizona, for the XYIENCE College Basketball Experience. Eligibility: Open to legal residents of the fifty (50) United States and the District of Columbia (excluding residents of Puerto Rico and US territories and possessions) who are at least 16 years of age and have a valid email address. Prize(s): $2,600 worth of McAlister’s gift cards valid for redemption at any participating McAlister’s restaurant for a $50 meal every week for one year.